Check out the slideshow below of pictures from Bucktoe Creek Cemetery, which is located in Chester County, Pennsylvania. They were taken during the Rugged Conservation Weekend that took place on September 11, 2010. 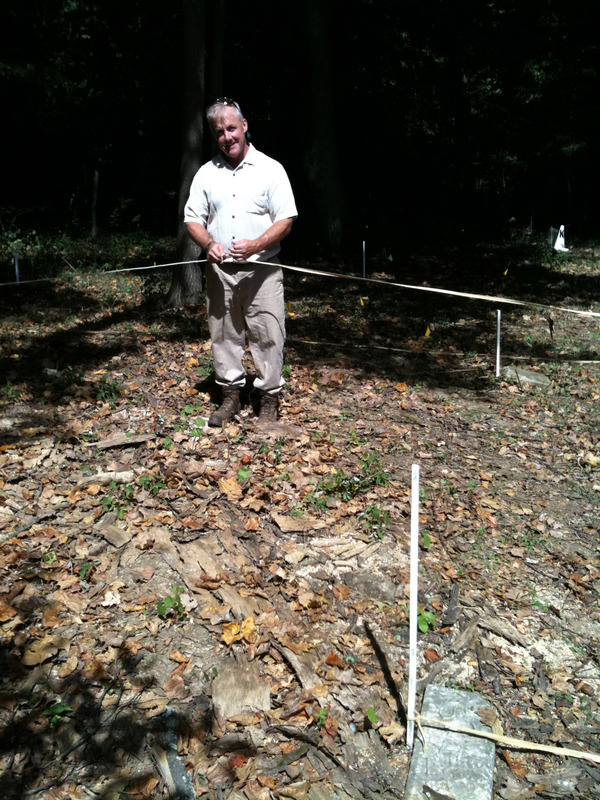 You can learn more about this cemetery at the Land Conservancy’s website. 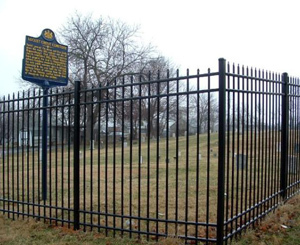 The Midland Cemetery is the final resting place for slaves, former slaves, men of the United States Colored Troops, Buffalo Soldiers and numerous leaders of the area’s African American community. In recent years, the Friends of Midland have rescued this historic burial ground from an overgrown field to a tranquil garden of peace and remembrance. 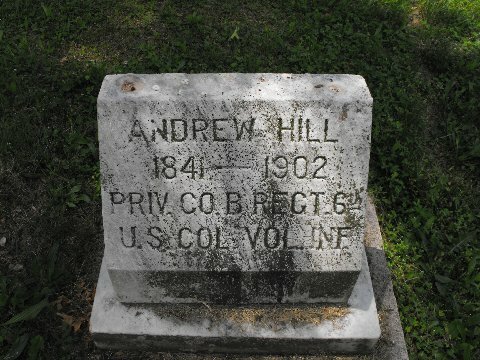 The pictures below are the headstones of three soldiers who served in the USCT and were buried at Midland Cemetery. Watch a short slideshow or click on one of the pictures below to see a larger version. 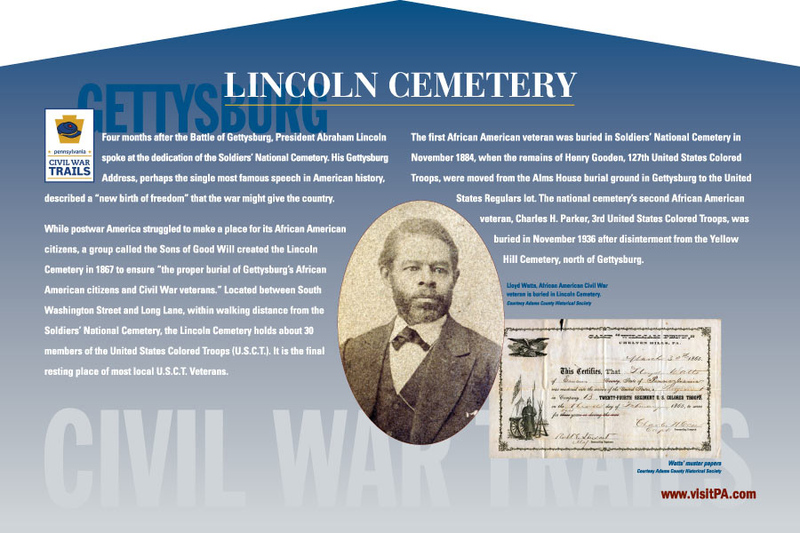 In 1867, the Sons of Good Will created the Lincoln Cemetery to ensure the proper burial of Gettysburg’s African American citizens and Civil War veterans. 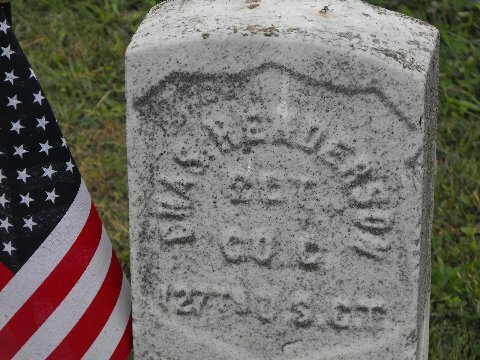 Men of color who fought bravely for the Union Army are laid to rest in this cemetery. Here, approximately 30 soldiers of the US Colored Troops are remembered and honored for their bravery and loyalty in the fight for freedom. Long Ln. & Washington St. 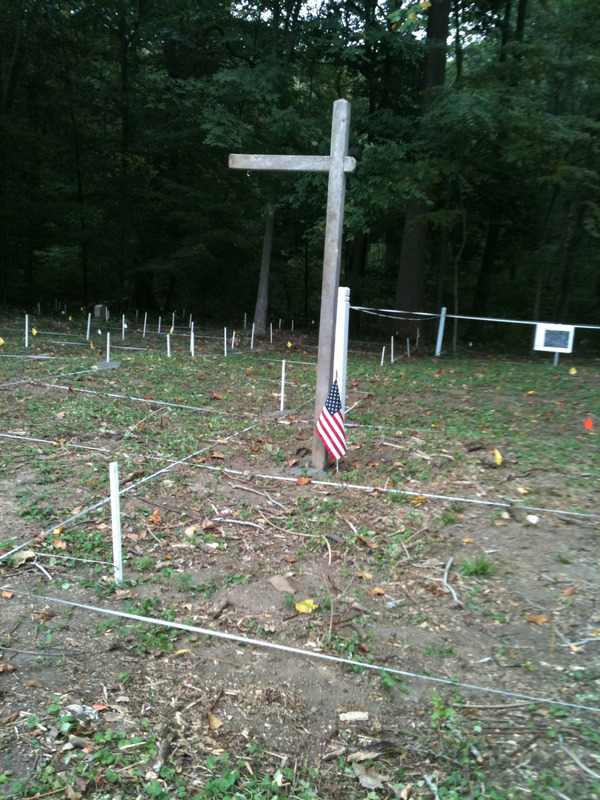 Many African American soldiers are buried in the Lincoln Cemetery including Thomas Morris Chester, a Harrisburg native. Chester’s gravestone was replaced in 2002 with a gravestone that had his correct birth date. Thomas’ gravestone lies next to his brother’s marker. David moved to Philadelphia and became the second black man to serve on the city council. 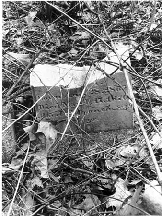 For nearly 200 years the North Queen Street Cemetery, now called Locust Grove, has been the final resting place of many Shippenburg area African-Americans. The cemetery was first acknowledged in 1828 in a Cumberland County deed that noted a “colored cemetery” was on the site. 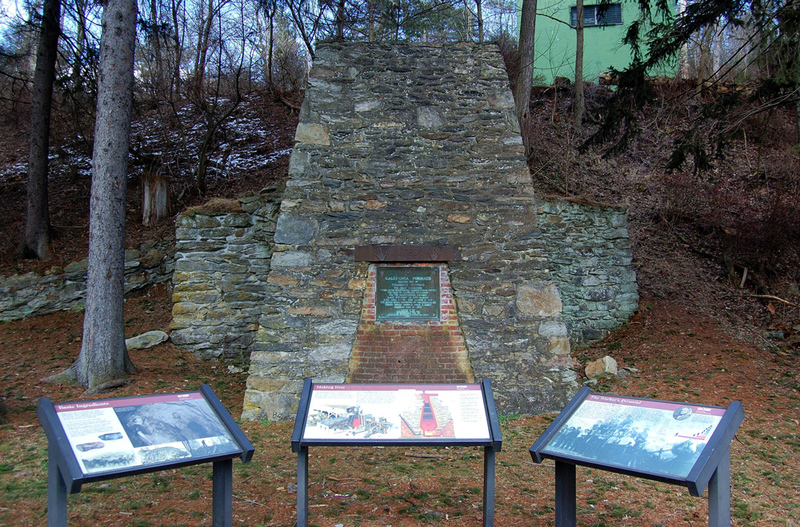 In 1846, Shippensburg’s first black church was established here. 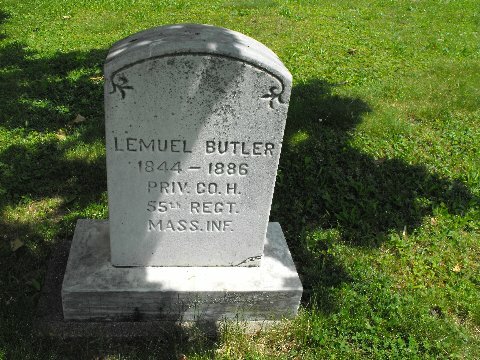 Among the African-Americans interred at the cemetery are twenty-six Civil War veterans, three of which served with the 54th and 55th Massachusetts Volunteer Regiments, the first combat units open to black men during the Civil War. Mt. 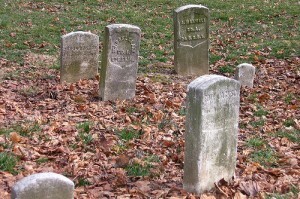 Lebanon Cemetery was Chambersburg’s African American burial ground. It slopes down from the top of the hill and offers great views across Chambersburg. 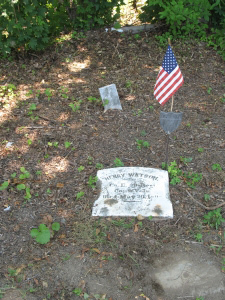 Many members of the United States Colored Troops are buried here, as are Henry Watson and Joseph R. Winters, two men involved with John Brown and the Underground Railroad. 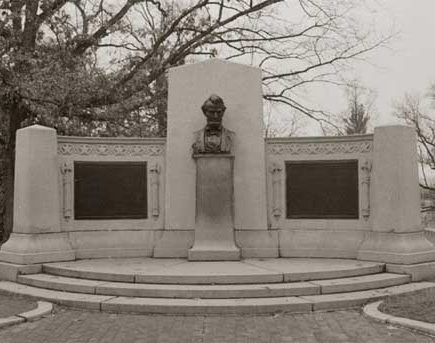 Explore history and pay homage to American heroes from the 19th century. 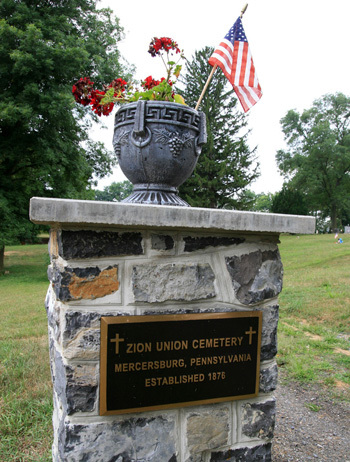 Zion Union Cemetery is the largest known burial site of the Massachusetts 54th African-American Civil War veterans in a private cemetery. 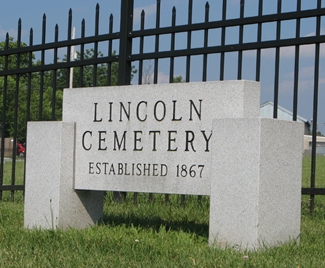 The cemetery can be viewed off Bennett Avenue that is off West Fairview Avenue from Route 75, or through the cemetery’s lane off West Fairview Avenue. Historic Bethel African Methodist Episcopal Church of ChurchTowne, Lancaster, PA, has been a center for the Lancaster community’s religious and cultural life since its founding in 1817. The current church building dates from 1879. 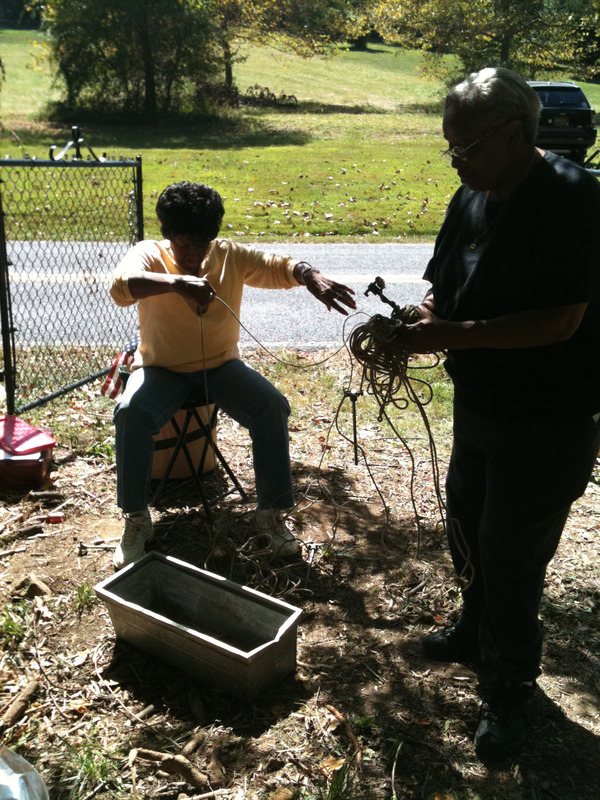 In addition to religious services and church school, Bethel AME Church offers many ministries to the community as well as opportunities for volunteer service. 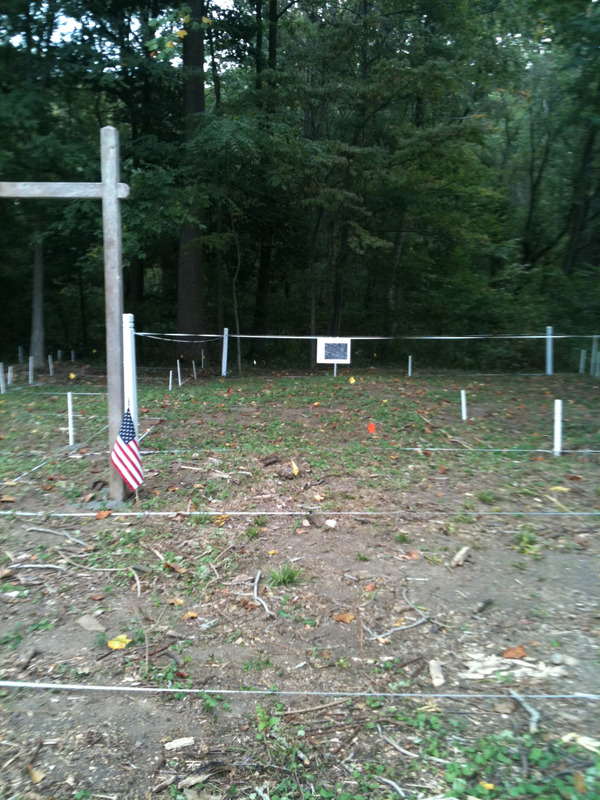 The church’s adjoining cemetery houses the remains of African Civil War veterans.